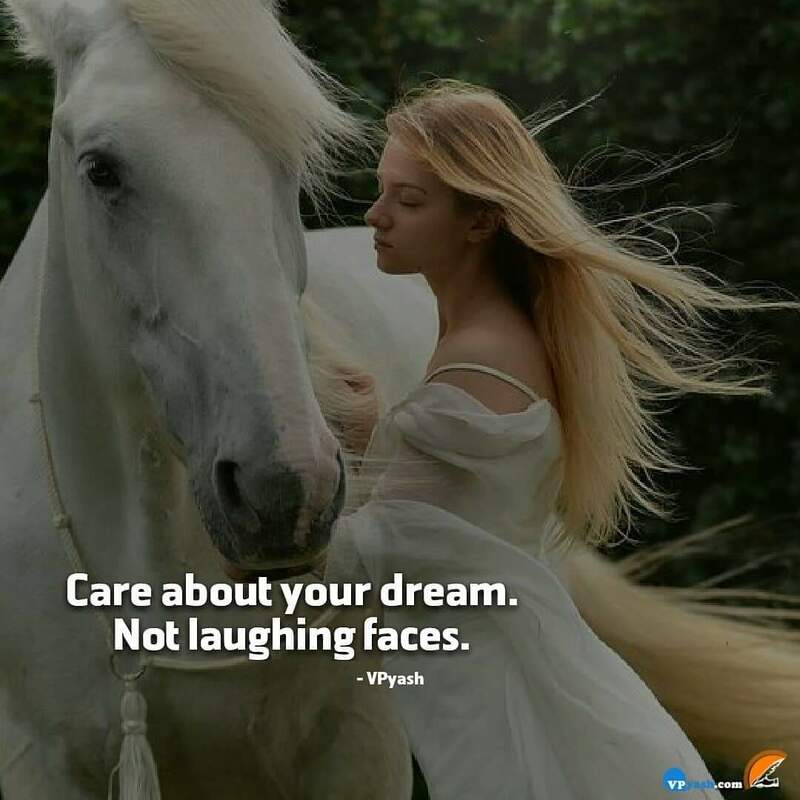 While chasing our dreams there comes the time when people around us tries to discourage us by laughing at our vision and calling us as a daydreamer. But we should never give much attention to such people as those are the people who never dared to dream on their own or even if they did they couldn't achieve it. We must trust our instincts and have faith in ourselves and ignore all the laughing faces. It has been a tradition of making a joke of a dreamer but in the end, the dreamer always has the highest laugh when he gets succeeded. All the successful people had a common thing in their story that people around them made fun of them and their dreams. They tried to discourage the dreamer to give up and those who didn't pay heed to them became the successful people on the earth . So, don't worry about such people as they are everywhere and you must learn to ignore them and keep yourself focused on your dreams.